Like what you see? Let's collaborate. I'm a freelance photographer and content creator with experience in portraiture, documenting events, and video production for YouTube. If you've had a look around and like what I do, there are numerous ways for us to work together. I'm based in Manchester with easy access to the city centre, but happy to travel further. I have some pre-made packages for those who want to hire me so that you know exactly what you'll receive - but this is only a taster for what I do, and I'm happy to chat about other ideas you might have. Scroll down to use the form below to let me know what you'd like, and from there we can discuss locations and pick a date suitable for you. If you work for a brand and want to get in touch about a sponsored post for my blog, please email me. 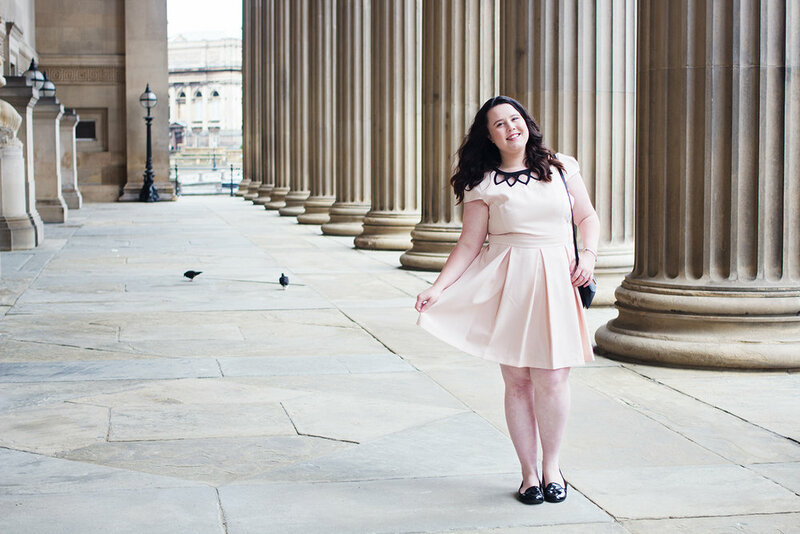 If you're a blogger in need of some outfit photos for a post, this is the package for you. We'll spend up to an hour in Manchester City Centre getting the shots and close-ups that you need. You'll receive ten fully edited, high resolution images for your social media profiles and/or blog posts (...and yes, I can airbrush that spot out for you). If you need more than ten images, and/or want to shoot outside Manchester City Centre; opt for the Gold package. This could be ideal if you wanted to shoot more than one outfit photo on the same day, or if you're having a rebrand and need plenty of new pictures. These shoots last for up to four hours, and you can pick the location. This package is ideal if you have a YouTube channel or other social media platform, and need help filming a Get Ready With Me or Lookbook video. You choose the location, and I'll be there with a camera. You'll receive an edited 2-5 minute video ready to upload, as well as a high quality still for your thumbnail or for promotion on social media. I also do events, product photography, brand sponsorships for blog posts, video editing, and more. Prices will vary depending on the scale of the project, so whatever you have in mind, feel free to contact me. Please complete this form, and I'll be in touch very soon.